I’ve loved reading for a long time. (When I was young, I would collect stacks of books to read as I sat on our couch, usually accompanied by a sleeve of cookies.) But this lifelong love affair really began when I read a book that sparked the flame. I loved this book as a kid. I can’t remember when exactly I first read it. I think my third grade class read it together, and I read on my own the next school year. I continued to read it another seven or eight times in the following years. The story entranced my thoughts like nothing else. I couldn’t get enough. 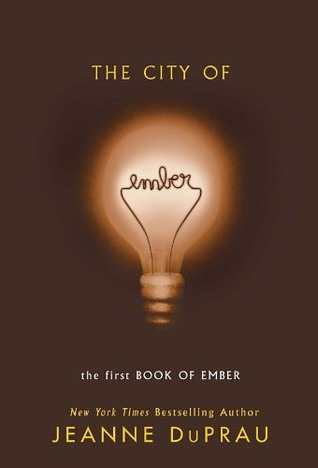 The City of Ember was one of the trailblazers for the current dystopian craze, and consequently it felt really fresh and original to my young mind. I had never imagined that the world could be like the world described in a novel, had never imagined having to live in an underground city. The idea fascinated me. I wanted to know everything about the story and the world and the characters. More than anything, the book gave me a new world to inhabit and to explore. It taught me to expand my imagination. (I forced my little brother to play “Lina and Doon” with me all the time.) I can’t thank this book enough for all it did for me. I almost want to reread this book now. Maybe its time to dust it off from my bookshelf.